The year is not yet a month old, and already several of Pacific Money’s favorite topics during 2013 are hitting the headlines again. On Wednesday, the U.S. Securities and Exchange Commission (SEC) reignited the issue of cross-border auditing and accounting matters that has been on the back burner since a workaround solution was found last May. The new ban, which has not yet been finalized and is subject to a long appeals process, still has the potential to be very disruptive. The issue does not just affect the 200 or so Chinese companies trading on U.S. exchanges; it could also hinder the accounting and auditing process for U.S. multi-nationals that operate significantly in China. As usual, Peking University’s Professor Gillis has one of the best understandings of the matter. China’s PV industry has been struggling with chronic overcapacity, a crushing debt burden, and serious international trade friction. The trade issue has resurfaced already. On Monday, China imposed anti-dumping and anti-subsidy duties on U.S. solar-grade polysilicon. Signs of U.S. retaliation took only days to emerge, and on Thursday the world’s largest economy opened investigations into several solar products sourced from China and Taiwan. Investigations will take time, but China’s solar industry is sure to be in the headlines again throughout the coming year. 2013 saw two significant spikes in China’s money market rates. The first occurred in June, and the second in late December. Debate continues about the cause, with some believing that China’s debt burden is beginning to affect liquidity conditions, and others arguing that the central bank is pursuing a deliberate policy to drive rates higher, squeeze the shadow banking system, or both. 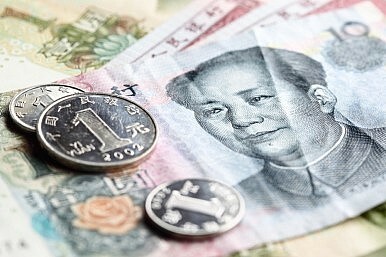 In the run up to Chinese New Year, Chinese rates began to climb again. On Monday, The People’s Bank Of China (PBOC) used its Short-term Lending Facility (SLF) to add cash to the markets and drive down rates. China’s economic reforms are going to start affecting many aspects of the economy this year. Debt and its relation to GDP growth is perhaps the most interesting factor to watch, both as one of the drivers of reformist thinking and the potential consequences of the attempts to rebalance the economy. Absent a large return to government support (which would almost certainly mean taking a step back on the road to reform) for the economy in 2014, China’s growth is going to slow further. As falling credit growth in turn slows headline GDP creation, financial distress is bound to result – as the tide goes out, some companies or entities (and even sectors) are going to be found to be swimming naked. Whether it be local government debt, the shadow banking system, or the more traditional lending apparatus, distress is going to start emerging. Already, more than one Wealth Management Product (WMP) is in trouble. Now it seems that efforts are being made to avoid the default, with both distributing bank ICBC and even a local government hinting at support for the product. This is good news for these particular investors of course, and perhaps for allaying fears of contagion and panic; but without allowing a default, authorities are only going to be able to pressure the supply side of the WMP system (see above) if they want to control shadow credit flows through 2014 and beyond.